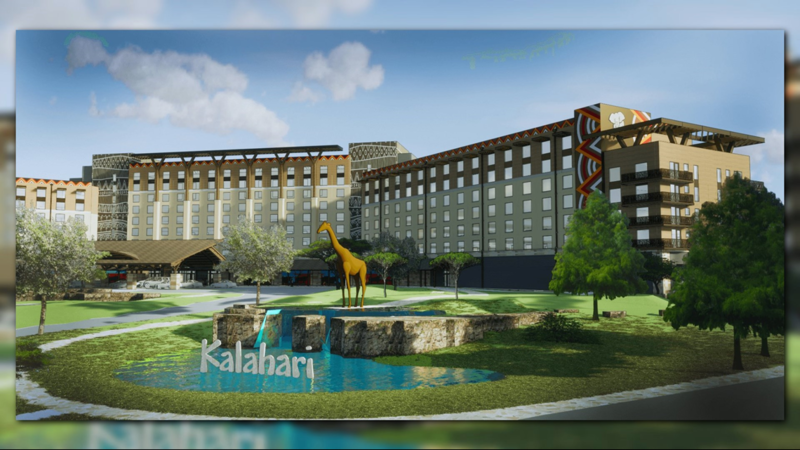 We're getting our first look at the 975-room Kalahari Resort set to be built in Round Rock, Texas. 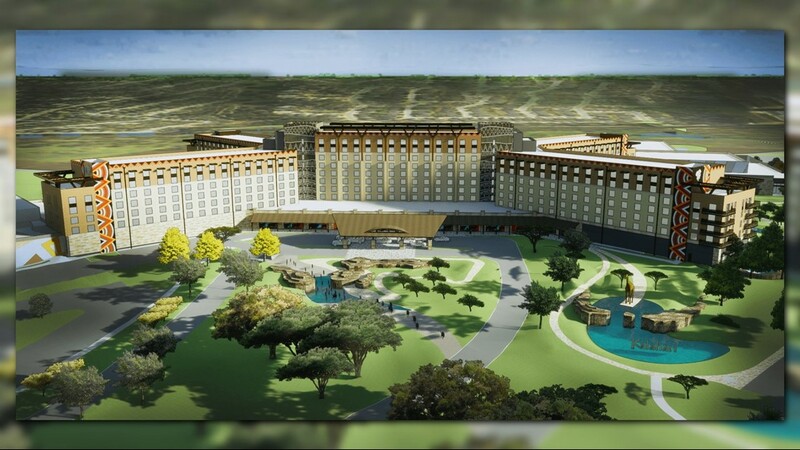 WILLIAMSON COUNTY, Texas -- After approving a deal in 2016 with Kalahari Resorts, known for their African-themed and family-style lodgings across the country, the city of Round Rock has released renderings of what the $350 million development will look like in Central Texas once it's completed. 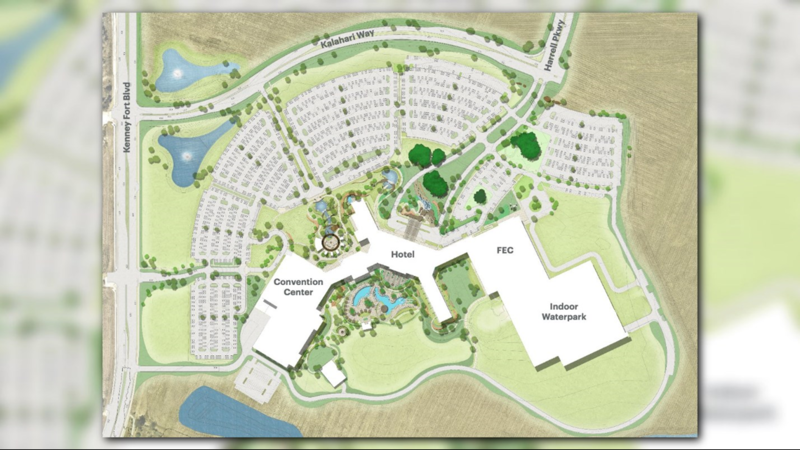 The renderings show the outside of the 975-room hotel, 150,000-square-foot convention center and portions of the 200,000-square foot indoor/outdoor waterpark, slated to be built on 351 acres of land on U.S. 79 across from the Dell Diamond and Old Settlers Park. 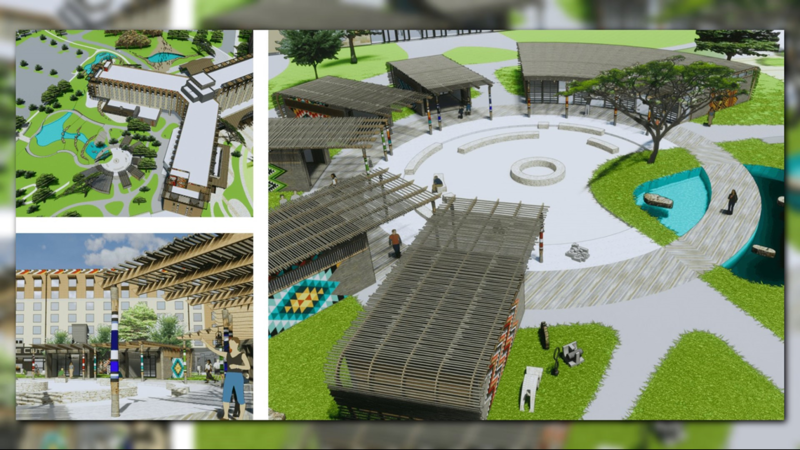 Renderings of Kalahari Resorts project slated to be built in Round Rock, Texas. 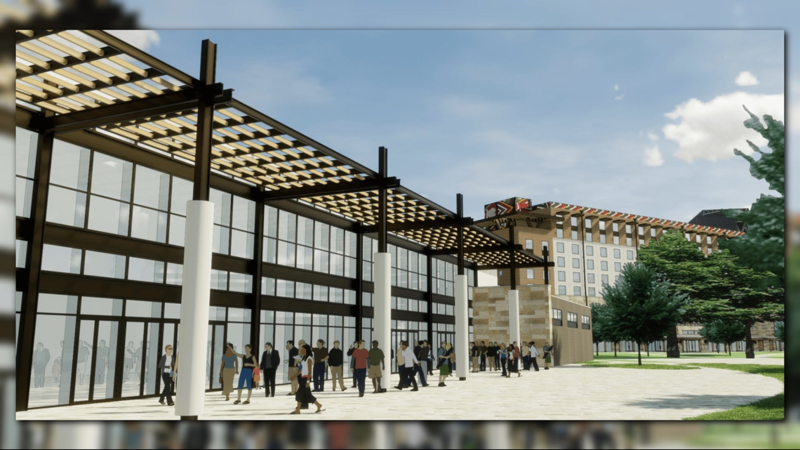 The release of the renderings followed along with the Round Rock City Council's April 12 announcement that they unanimously approved zoning plans for the project, which is expected to bring in approximately $4.7 million annually in tax revenues. 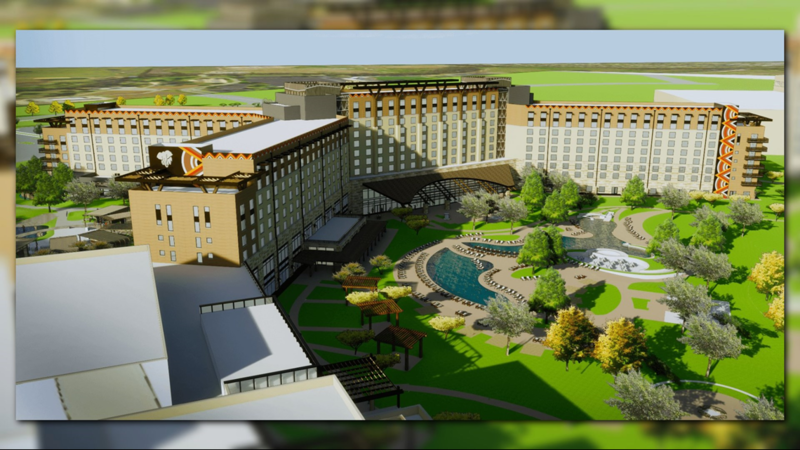 Round Rock officials told KVUE's partners at the Austin American Statesman the Kalahari Resort project is expected to break ground on May 15, 2018. The resort is expected to open sometime during late 2020.